Cypress Semiconductor PSoC® 6 BLE Prototyping Board (CY8CPROTO-063-BLE) is a low-cost hardware platform enabling design and debugging of PSoC 6 MCU based applications. The PSoC 6 BLE Prototyping Board provides easy access to all the device I/Os in a breadboard-compatible format, and includes an LED, a push button, and current measuring jumpers. This Board is designed with a snap-away form-factor, allowing users to separate the KitProg on-board programmer and debugger module from the target board for independent use. The PSoC 6 BLE Prototyping Kit provides easy access to 36 GPIOs and to the programmable digital and analog peripherals offered with the module. The kit also includes current-measuring jumpers, a push button, and two LEDs. The PSoC 6 BLE Prototyping Kit features a KitProg2 onboard programmer and debugger with a perforated snap-away design, allowing engineers to use the module independently from the target board. The board also includes a MikroElektronika mikroBUS interface for use with MikroElektronika Click boards, which allow expanded functionality without additional hardware configuration. The PSoC 6 BLE Prototyping Board features the PSoC 63 BLE Module (CYBLE-416045-02) which is a fully certified, integrated, and programmable turnkey solution for developers wanting to easily add Bluetooth connectivity to their IoT design. 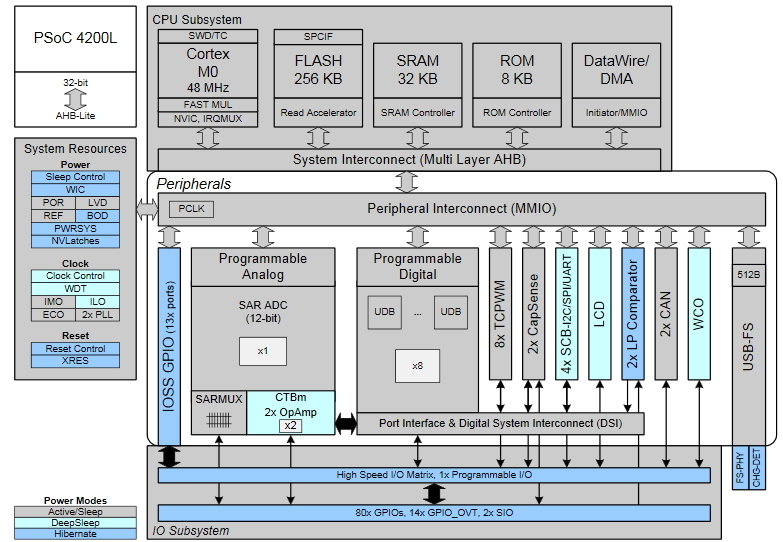 This module retains all of the programmability and flexibility that comes with PSoC MCUs, combining programmable and reconfigurable analog and digital blocks with flexible automatic routing as well as digital programmable logic, high-performance Analog-to-Digital Conversion (ADC), low-power comparators, and standard communication and timing peripherals. 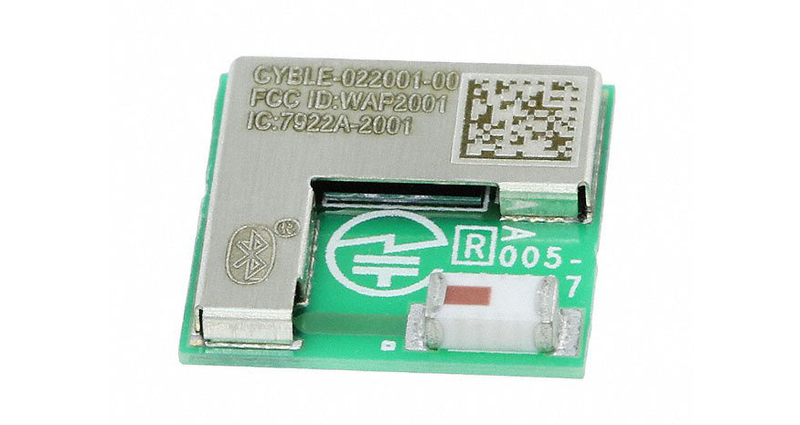 The PSoC 63 BLE Module (CYBLE-416045-02) provides a royalty-free BLE stack supporting Bluetooth 5.0, and provides 36 GPIOs in a 14mm x 18.5mm x 2.00mm package. The PSoC 6 BLE Prototyping Board along with the on-board BLE Module offer an ideal development platform for IoT designers seeking a high-performance, BLE wireless solution.